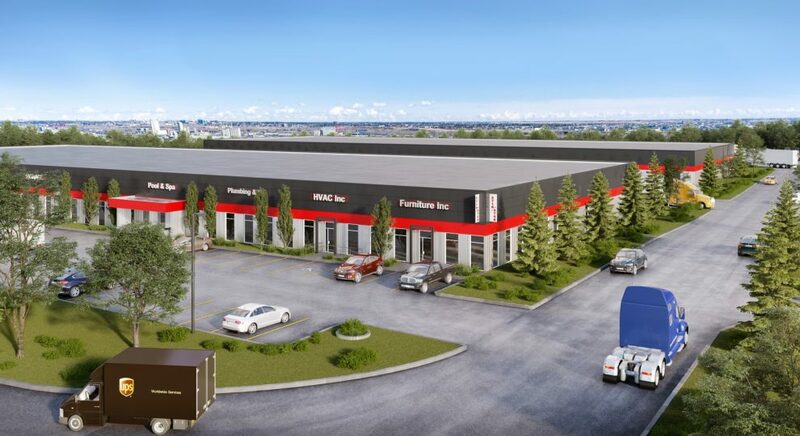 Core Business Park Burbank, Calgary, AB – PC Urban Properties Corp.
Join the smart businesses that already own a piece of Calgary’s bright future. PC Urban Properties has acquired a 111,000 sq. 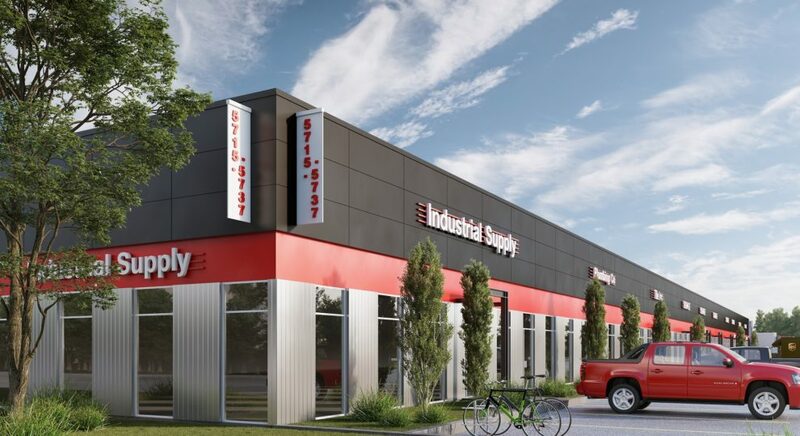 ft. two building industrial property on 5.59 acre business park in the heart of South Central Calgary. “CORE Business Park Burbank”, is a fully leased development on 58th Avenue SE and Blackfoot Trail, offering a proven location, efficient space and exceptional market value. PC Urban will reinvigorate and refurbish the property into commercial condos, offering current tenants, new businesses and investors an opportunity to purchase one of the very few commercial condo conversions in the City of Calgary. The development is comprised of 24 bays, each with 4,640 sq. ft. of space and 18 ft. clear ceiling heights throughout the warehouse spaces, with opportunities to combine. Renovations will include a modernized façade with architectural accent features, new doors and windows, individualized entry portals, a consistent signage program as well as exterior lighting upgrades. The layout of each unit offers exceptionally easy loading capacities, with small bay sizes and a mix of dock and drive-in loading doors. Large external maneuvering areas and rear storage opportunities as well as ample double parking make this an ideal location for businesses. CORE Business Park is zoned Industrial General, making it ideal for light manufacturing, warehouse and distribution businesses – especially those that want to combine their workspace with a support office. The opportunity to own this kind of space, in Central Calgary, is becoming more and more rare. Purchasing real estate in such a prime location is a long-term business move that will allow small and medium enterprises to manage costs, increase profits and take greater control of their own destiny. Project Size: 111,000 sq. ft.